Thank you so much to Abbey for commissioning this episode! I've been really enjoying this book so far. 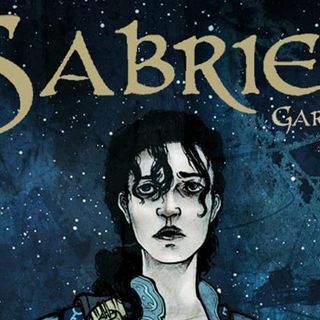 These chapters are absolutely packed, with Sabriel crossing the border into Old Kingdom and beginning her long journey. She comes across a few things that signal all is not well, from a terrible scene of frozen, headless dead bodies (complete with audio recording of the attack), and then a broken Charter Marker that was cracked with some really gruesome magic that only a maniac would ... See More attempt. Then, after Sabriel manages to kill a horrible undead corpse-creature, she starts getting chased by something called a Mordicant. Good lord! She's forced to run flat-out until she literally collapses on the doorstep of her old house. Damn, she's going through a lot.